Posted March 6, 2016 by Emily Adams . 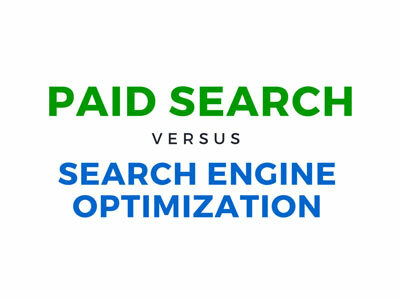 What’s the difference between paid search and search engine optimization? Do I have to pay for SEO? Isn’t AdWords the same thing? We hear questions like these from small business clients all the time. As the Internet continues to grow and evolve, so does online marketing. But SEO and PPC are two different things, with different names, functions, and uses in your marketing strategy. To learn more about Paid Search and Search Engine Optimization or to get started with your search engine marketing plan, call our team at 303-703-8000. Original post published June 26, 2015.